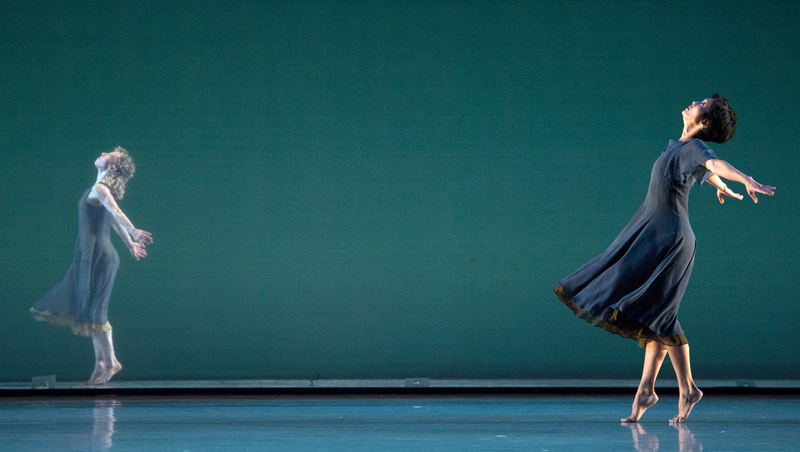 Lauren Grant and Maile Okamura in Mark Morris’s “L’Allegro, il Penseroso ed il Moderato.” Photo by Kevin Yatarola. As part of the spiritually-minded “White Light” festival at Lincoln Center, the Mark Morris Dance Group is performing Morris’s L’Allegro, Il Penseroso ed il Moderato, from 1988. The ebullient work is spiritual in the best sense: it lifts the spirit. Made in the first year of the company’s residence at La Monnaie opera house in Brussels, it reflects the choreographer’s delight at the resources at his command: a spacious stage, singers, full orchestra, endless rehearsal time. Twenty-five years later, it still feels fresh. Here’s my review, for DanceTabs.